Are you an artist? 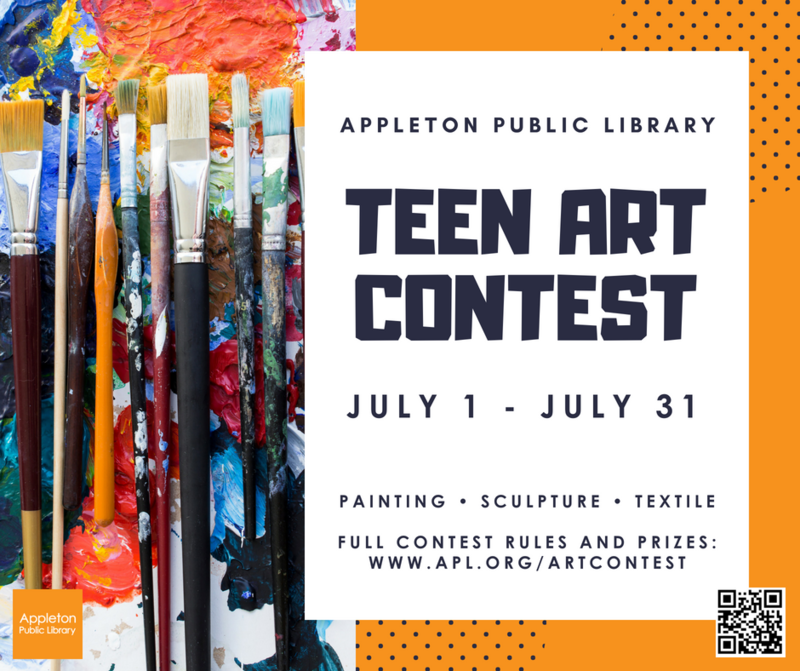 We're hosting our first annual teen art contest July 1 - July 31 and we'd love to see your work! The contest is open to teens entering sixth grade through 2018's graduating class. Three prizes will be given out to the winning entries; a $25 first place gift card to Michaels, a $15 second place gift card to Michaels and a $10 third place gift card to Michaels. Up to three entries may be submitted. All entries must be submitted between July 1 and July 31. Submissions must be no larger than 28"x28" and weigh no more than 10 pounds. Accepted media includes; painting - oil, acrylics, watercolor, tempera or gouache, sculpture – ceramics, glass, plaster, clay, or textiles – wool, cotton, rattan, plastic handmade and or hand decorated items. Please see teen art contest page for full eligibility and submission requirements.